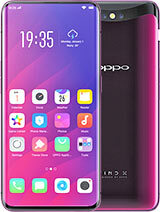 How many multi touch points are there and can any one tell which all the high end games preinstalled in this awesome phone? Boom, 05 Apr 2013Well it looks like painted plastic to me but maybe it's metal. Because on white and red model ... moreLens is covered with a corning gorilla glass. Boom, 05 Apr 2013Does this shiny plastic around camera gets scratched easy? I got my 808 few days ago and i am... moreBuy a back cover, with a cover for lens also, i have a few little scratches around the lens. bigbite87, 05 Apr 2013hi there carol.. Cella by adelino is a very cool theme as well.. Full hd, I am currently using... moreI have It in the cfw Im using but google for it.I have not tried this seperately but have many mod in the cfw I use. Boom, 05 Apr 2013Does this shiny plastic around camera gets scratched easy? I got my 808 few days ago and i am... moreyou buy molife it wil protect very wel.awsome case. Carol, 04 Apr 2013You know, there is a saying: If you don't know,don't use them! My brother-in-law, who has no c... morehi there carol.. Cella by adelino is a very cool theme as well.. Full hd, I am currently using it. You know what? i missed the notification widget of symbian anna.. That widget is really awesome, it's cool to have it on your screen and when you play a video a small box will appear on top as a preview of your message.. I missed that.. I want to have it back! Do you know how? Anonymous, 05 Apr 2013what is the color of your 808 pureview? Mine is black and I have no worries about the back cov... moreIt's white. And no it's not metal it's plastic for every colour version. Does this shiny plastic around camera gets scratched easy? I got my 808 few days ago and i am happy with it but i think that this shiny part will get scratched no matter how careful i am. When i put my 808 on table it's standing on that part. I wish it was other kind of plastic around camera. who said alpha numeric key pad is not available , i asked many experts they're not aware how beautiful alpha numeric looks just great on 808 just awesome ,,,even i asked to carol he told not available.but its available. Holala,that is what is called a camera phone. Im so fascinated i cannot be without it for a second. The camera is superb i could take a picture in pitch darkness of my living room. Hey, Nokia should stop the idea of throwing symbian into the gutters. AnonD-373, 04 Apr 2013Hi Carol and others... I am going to buy Nokia 808. I always search and read reviews and ta... moreIf you already have enough info about this phone, then what you need is to listen to your heart and follow your heart - coz your heart won't tell you lies. As for me, I don't regret buying 808. I don't care about Symbian because I know Belle is a mature form of Symbian and it is a good OS. I don't care if Nokia doen't support Symbian anymore because I know all types of OS inside any phones in this world will eventually be dead after approximately 2 years (simply no more update from any OEMes). Think it wisely and take a look at Lumia 610, 710, 800, and 900, they are all already dead in less than 2 years. Do you think these WP phones will get updates to WP8, Portico or Windows Blue...? No way..! The same story is true with all other Brands and types. What matter most to me is that I like this phone and enjoy it very much. 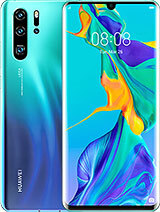 This is the phone that I'm looking for. That's enough for me. I am going to buy Nokia 808. 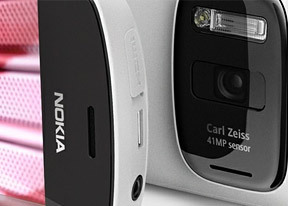 I always search and read reviews and take decision and I feel nokia 808 is an All-In-One Gadget. 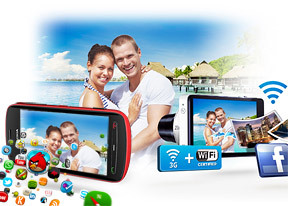 Camera, Audio, Touch, 4", Memory Card, Looks different and High quality hardware. I know that nokia will not support symbian anymore. And i feel they dont release any major updates for nokia 808. I just want to know my decision is correct on buying "Nokia 808" at this time?